The best first aid, cardiopulmonary resuscitation (CPR), and automated external defibrillation (AED) training programs are offered by Vancouver First Aid. Courses, stand-alone classes, private classes, and refresher courses are available at the lowest prices in the area. 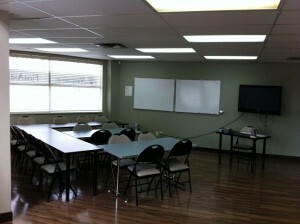 If you’re looking for the best training service provider in Vancouver, Vancouver First Aid is the best choice for you! Enrol in a training course for first aid, CPR, and AED today! A complete list of offered classes and schedules can be found on the Vancouver First Aid homepage. An on-line application form is also available on the website. Because the Vancouver First Aid staff is known for being very friendly and accommodating, completing your enrolment through telephone call, e-mail, and walk-ins at the training centers are highly encouraged. CPR/AED training courses that include basic first aid and AED training are offered throughout the week, with night and weekend classes also available.Training courses come in three levels: “A”, “C”, and “HCP”. These levels are 4, 5, and 6 hours long. AEDs are machines that detect heart rhythms and apply needed shock to the heart. All levels include standard first aid and AED training. Standard first aid classes are focused on knowledge and skill development regarding emergency first aid actions in response to specific injuries or situations. Bleeding, burn, and fall management are some of the most popular first aid topics covered. 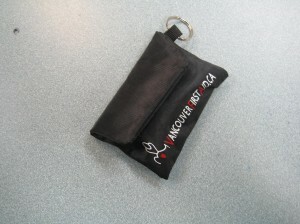 No other training service provider in the area offers lower rates than Vancouver First Aid. Rates are inclusive of taxes, certificates, and workplace approved registration fees, as well as training manuals and equipment. Numerous freebies such as key chains and pocket masks are also given to trainees. Trainees who are unable to complete the training course are entitled to a full refund of the enrolment fee, provided a 72-hour notice is given. Trainees who are able to complete the training course of their choice are awarded a workplace approved certificate for first aid, CPR, and AED training, valid for three years throughout Canada. Renewal of expiring certificates may be completed through refresher courses, offered at least twice a week at Vancouver First Aid. Private classes are available to trainees who have scheduling problems and are unable to enrol in any of the regular schedules. Big groups or companies usually take separate or private classes for their training as well. Trainees who do not want to undergo the entire CPR/AED and first aid training course can enrol in stand-alone CPR/AED or first aid classes only, among others. St Mark James standard first aid courses offered by Vancouver First Aid are taught in conveniently located, clean, and spacious classrooms. Numerous training centers and classrooms are located throughout the Vancouver area, all easily accessible by public transportation, with amenities such as free parking and restaurants within walking distance. Classrooms are equipped with the latest and well-maintained training mannequins and AED trainers. Start your training today with the lesson below. There are two types of diabetes: insulin dependent (type 1) and non-insulin dependent (type 2). The first type is a genetic condition where the pancreas do not produce insulin. People with type 1 diabetes need to take insulin for life to keep their glucose levels normal. Type 2 diabetes can be managed with diet, exercise, and oral medication. If diet and exercise do not work or if the person does not follow a healthy lifestyle, regular insulin injections can also be used for management. Learn more about managing diabetes in a standard first aid training class.